Complete your day to night look this winter with the new Half Moon bag from Katie Loxton. Finished in classic black with a gold logo bar and chain strap for the ultimate crossbody. 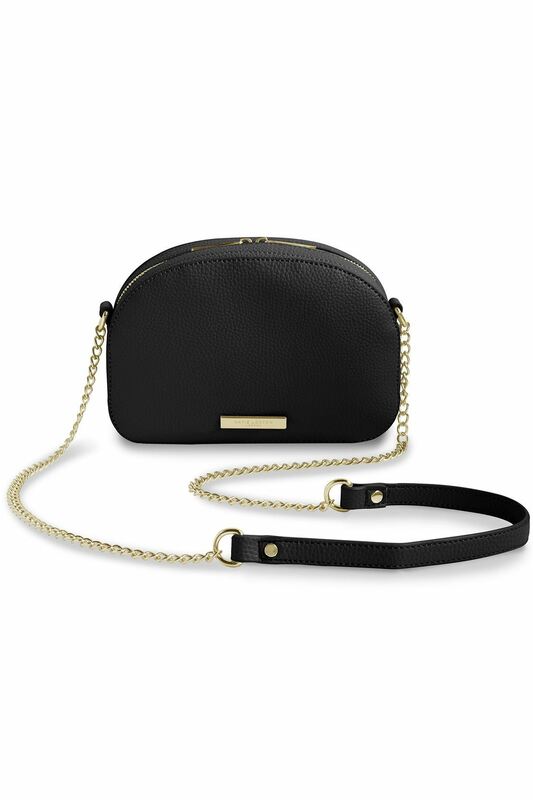 This new HALF MOON BAG in black from Katie Loxton holds your belongings/mobile phone/keys safely & comfortable to carry without compromising the fashion. Finished with the branded Katie Loxton bar stamp, chain strap, gold zipper and zip pull.